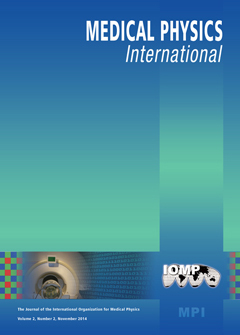 A NEW MILESTONE IN THE DEVELOPMENT OF THE MEDICAL PHYSICS PROFESSION: THE EFOMP POLICY STATEMENT ON MEDICAL PHYSICS EDUCATION AND TRAINING IN EUROPE 2014 Caruana, C.J. “2ND INTERNATIONAL CONFERENCE ON MEDICAL PHYSICS IN RADIATION ONCOLOGY AND IMAGING (ICMPROI-2014)” IN DHAKA, BANGLADESH Azhari H. A. © 2016 International Organisation of Medical Physics, Medical Physics International Journal. All Rights Reserved.